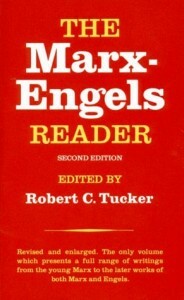 As I have previously noted, during one of the early lectures his acclaimed “Reading Marx’s Capital” lecture series, David Harvey refers his students to a noteworthy work by Marx entitled “For A Ruthless Criticism of Everything Existing.” Indeed, that is the title used for the document in the popular edition The Marx-Engels Reader, edited by Robert C. Tucker. In many other editions of the work, the document is simply titled “Marx to Ruge,” referencing the fact that it was originally written as correspondence from Karl Marx to Arnold Ruge. I am very pleased to find you so resolute and to see your thoughts turning away from the past and towards a new enterprise. In Paris, then, the ancient bastion of philosophy – absit omen! [may this be no ill omen!] – and the modern capital of the modern world. Whatever is necessary adapts itself. Although I do not underestimate the obstacles, therefore, I have no doubt that they can be overcome. Our enterprise may or may not come about, but in any event I shall be in Paris by the end of the month as the very air here turns one into a serf and I can see no opening for free activity in Germany. In Germany everything is suppressed by force, a veritable anarchy of the spirit, a reign of stupidity itself has come upon us and Zurich obeys orders from Berlin. It is becoming clearer every day that independent, thinking people must seek out a new centre. I am convinced that our plan would satisfy a real need and real needs must be satisfied in reality. I shall have no doubts once we begin in earnest. In fact, the internal obstacles seem almost greater than external difficulties. For even though the question “where from?” presents no problems, the question “where to?” is a rich source of confusion. Not only has universal anarchy broken out among the reformers, but also every individual must admit to himself that he has no precise idea about what ought to happen. However, this very defect turns to the advantage of the new movement, for it means that we do not anticipate the world with our dogmas but instead attempt to discover the new world through the critique of the old. Hitherto philosophers have left the keys to all riddles in their desks, and the stupid, uninitiated world had only to wait around for the roasted pigeons of absolute science to fly into its open mouth. Philosophy has now become secularized and the most striking proof of this can be seen in the way that philosophical consciousness has joined battle not only outwardly, but inwardly too. If we have no business with the construction of the future or with organizing it for all time, there can still be no doubt about the task confronting us at present: the ruthless criticism of the existing order, ruthless in that it will shrink neither from its own discoveries, nor from conflict with the powers that be. I am therefore not in favor of our hoisting a dogmatic banner. Quite the reverse. We must try to help the dogmatists to clarify their ideas. In particular, communism is a dogmatic abstraction and by communism I do not refer to some imagined, possible communism, but to communism as it actually exists in the teachings of Cabet, Dezamy, and Weitling, etc. This communism is itself only a particular manifestation of the humanistic principle and is infected by its opposite, private property. 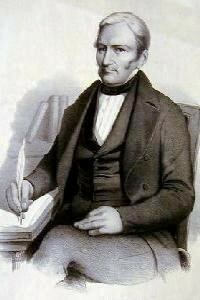 The abolition of private property is therefore by no means identical with communism and communism has seen other socialist theories, such as those of Fourier and Proudhon, rising up in opposition to it, not fortuitously but necessarily, because it is only a particular, one-sided realization of the principle of socialism. Reason has always existed, but not always in a rational form. Hence the critic can take his cue from every existing form of theoretical and practical consciousness and from this ideal and final goal implicit in the actual forms of existing reality he can deduce a true reality. Now as far as real life is concerned, it is precisely the political state which contains the postulates of reason in all its modern forms, even where it has not been the conscious repository of socialist requirements. But it does not stop there. It consistently assumed that reason has been realized and just as consistently it becomes embroiled at every point in a conflict between its ideal vocation and its actually existing premises. This internecine conflict within the political state enables us to infer the social truth. Just as religion is the table of contents of the theoretical struggles of mankind, so the political state enumerates its practical struggles. Thus the particular form and nature of the political state contains all social struggles, needs and truths within itself. It is therefore anything but beneath its dignity to make even the most specialized political problem – such as the distinction between the representative system and the estates system – into an object of its criticism. For this problem only expresses at the political level the distinction between the rule of man and the rule of private property. hence the critic not only can but must concern himself with these political questions (which the crude socialists find entirely beneath their dignity). By demonstrating the superiority of the representative system over the Estates system, he will interest a great party in practice. By raising the representative system from its political form to a general one, and by demonstrating the true significance underlying, it he will force this party to transcend itself – for its victory is also its defeat. Nothing prevents us, therefore, from lining our criticism with a criticism of politics, from taking sides in politics, i.e., from entering into real struggles and identifying ourselves with them. This does not mean that we shall confront the world with new doctrinaire principles and proclaim: Here is the truth, on your knees before it! It means that we shall develop for the world new principles from the existing principles of the world. We shall not say: Abandon your struggles, they are mere folly; let us provide you with true campaign-slogans. Instead, we shall simply show the world why it is struggling, and consciousness of this is a thing it must acquire whether it wishes or not. The reform of consciousness consists entirely in making the world aware of its own consciousness, in arousing it from its dream of itself, in explaining its own actions to it. 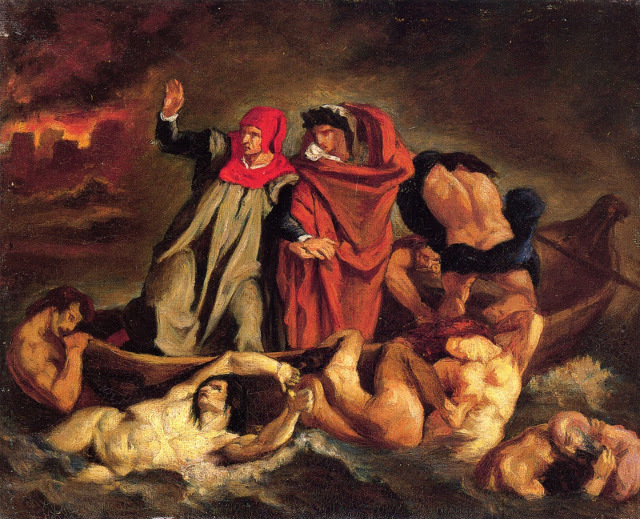 Like Feuerbach’s critique of religion, our whole aim can only be to translate religious and political problems into their self-conscious human form. Our programme must be: the reform of consciousness not through dogmas but by analyzing mystical consciousness obscure to itself, whether it appear in religious or political form. It will then become plain that the world has long since dreamed of something of which it needs only to become conscious for it to possess it in reality. It will then become plain that our task is not to draw a sharp mental line between past and future, but to complete the thought of the past. Lastly, it will becomes plain that mankind will not begin any new work, but will consciously bring about the completion of its old work. We are therefore in a position to sum up the credo of our journal in a single word: the self-clarification (critical philosophy) of the struggles and wishes of the age. This is a task for the world and for us. It can succeed only as the product of united efforts. What is needed above all is a confession, and nothing more than that. To obtain forgiveness for its sins, mankind needs only to declare them for what they are. This entry was posted in communism, Karl Marx, marxism and tagged communism, Karl Marx, ruthless criticism. Bookmark the permalink.